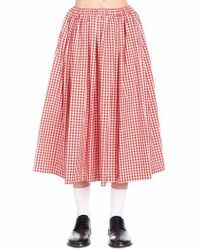 If you’re still finding it hard to associate gingham with anything but Dorothy in The Wizard of Oz, it’s time you took a look at this season's gingham skirts. 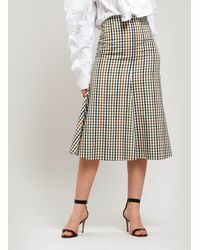 No longer just for tablecloths and picnic blankets, these checks have been refreshed with deconstructed hems and cool, colour-block detailing. 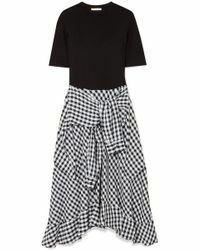 Style with cold-shoulders and ruffles for a modern spin, or pair with a crisp white shirt for a practical summer look. 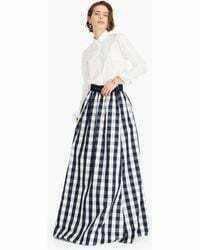 Just keep accessories simple, adding a straw hat and raffia bag for a prairie-meets-cool finish. 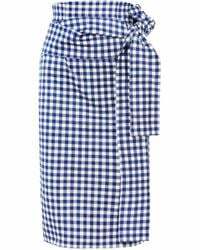 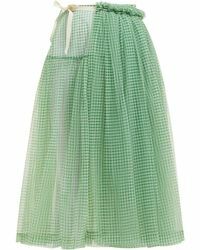 "love Will Square Us Apart Gingham Wrap Skirt"
"square Up Gingham Mini Skirt"